Whether you have one rental property, or you own an apartment building with dozens of units, a contested eviction can create an expensive and time-consuming hiccup in your business. Although many landlords routinely handle uncontested evictions quite well on their own, contested evictions are another matter entirely. If you’re a landlord facing eviction in Miami, it’s important to protect your rights and your wallet by working with an experienced Miami Eviction lawyers. At the HLF Real Estate Law firm, we help landlords in contested eviction cases. 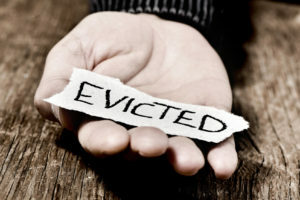 Florida Contested Evictions Attorney work closely with our clients to ensure they get a chance to tell their side of the story, and we work hard to obtain favorable results for the landlords we represent. As a landlord, the success of your business depends on finding and keeping good tenants. When a tenant fails to pay rent, or otherwise breaches the lease agreement, you have the right to end the tenancy. However, it’s important to follow the proper Florida evicting process under the law. In non-payment of rent cases, you must start by serving the tenant a three-day notice to vacate the rental unit. For other lease violations, you must give the tenant seven days’ notice to leave the property. When tenants know they are in the wrong, the majority will leave the property voluntarily and within the notice period. Obviously, this is the best case scenario for a landlord. In some cases, however, tenants choose to fight the notice, which forces the landlord to file an eviction complaint with the court. Suddenly, you’ve got a much more serious matter on your hands. A single mistake in your case could end up costing you time and money. Although evicting cases tend to move quickly, they are still legal proceedings. If a tenant raises defenses to the eviction, it’s important to respond appropriately and effectively. We help landlords anticipate client defenses, and we start building your case from our very first meeting. HLF Real Estate Law helps landlords in contested eviction cases. Contact us today to speak to an experienced Florida Eviction Lawyer at (305)-780-6322.